According to 2013-2017 China retardant industry sales forecast demand and investment analysis report data show that in 2007 the total global consumption of about flame retardants 1.7 million tonnes in 2008 to approximately 1.95 million tons in 2010 to 2.3 million tons in 2011 to 241 tons ,2007-2011 compound annual growth rate reached 9.12%. 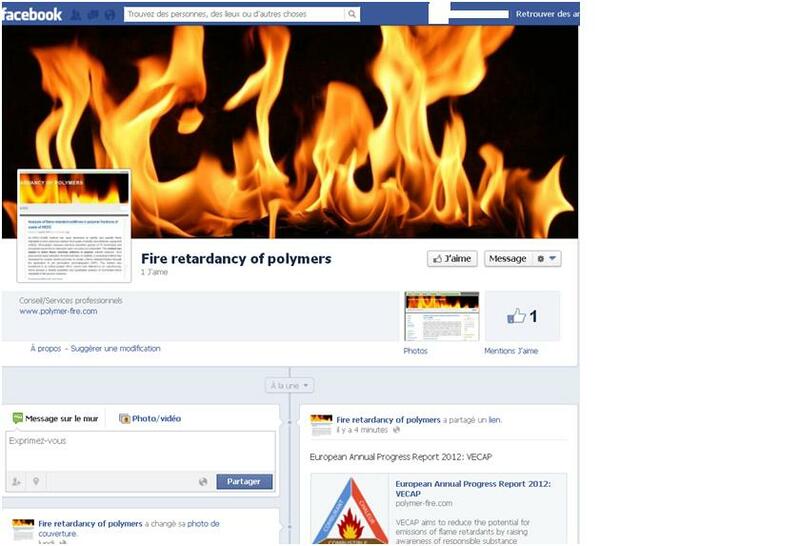 Prospects Industry Research Institute flame retardant market research group forecast 2013 – 2014 will maintain an average annual growth rate of approximately 3.5%, flame retardant agent consumption in 2014 is expected to reach 2.62 million tons. From the sales point of view, in 2005 global sales of approximately $ 3.5 billion retardants, 2008 of approximately $ 4.1 billion in 2010 to $ 5 billion, in 2014 is expected to reach $ 6.1 billion ,2010-2014 will remain approximately 5.5% The average annual growth rate. In recent years, China’s annual production volume flame retardants average growth rate is estimated to be 15% -20%, far higher than the global level of 3% -4% .2010 domestic production was 58,303,800 tons of plastic products, according to plastic products industry planning objectives, ‘second five’ at the end of plastic products production reached about 10 million tons in 2010, based on the goal of doubling and then press the flame-retardant plastic plastic products accounted for 20% and the proportion of three flame retardant % per annum, is expected to ‘Twelve Five’ fire retardant plastic products in China market will reach 600,000 tons, flame retardants overall market size of 90 million tons from the market development trend, the expected annual average 2013-2016 growth rate of 15% -20%, and flame retardants market in 2015 will reach 850,000 tons or more. 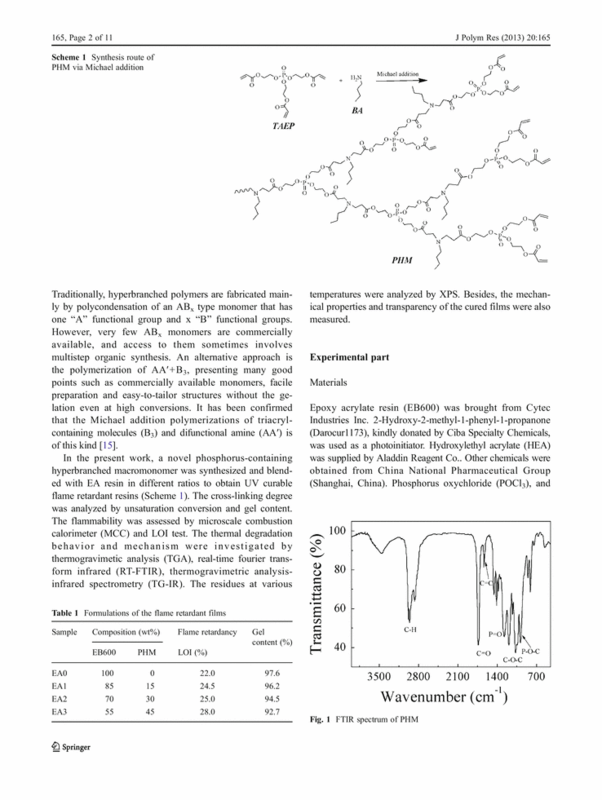 This article was published in Polymer Degradation and Stability journal. We investigate the influence of carbon additives with different particle sizes and shapes on the flame retardancy and mechanical properties of isotactic polypropylene. Thermally reduced graphite oxide (TRGO) and multi-layer graphene (MLG250), consisting of few graphene layers, are compared with spherical, tubular and platelet-like carbon fillers such as carbon black (CB), multiwall nanotubes (MWNT) and expanded graphite (EG). The different morphologies control the dispersion of the carbon particles in PP and play a key role in structure–property relationships. Uniformly dispersed CB, MLG250 and TRGO shift the onset temperature of PP decomposition to temperatures around 30 °C higher, induce a flow limit in the composites’ melt viscosity and change drastically their fire behaviour. The prevented dripping and significantly increased heat absorption result in decreased time to ignition and hardly any change in the reaction to a small flame. Under forced-flaming conditions reductions in the peak heat release rate of up to 74% are achieved due to the formation of a protective layer of residue during combustion. The described effects of carbon nanomaterials on the properties of PP composites are most pronounced for well-exfoliated graphenes, making them preferable to less exfoliated, micron-sized expanded graphite or conventional spherical and tubular carbon nanoparticles. Addivant™ USA, LLC announces the introduction of new POLYBOND® polymer modifiers that allow halogen-free polyolefin compounds to efficiently replace PVC in flame retardant wire and cable solutions. The replacement of PVC in wire and cable insulation and jacketing is driven by regulatory changes and consumers’ increased desire for sustainable solutions. This has developed an increased demand for halogen free polyolefin compounds for use in a growing number of wire and cable markets, such as transportation, electrical & electronic, building & construction and appliance applications. Currently, polyolefins are the most widely used polymers in the world, primarily due to their ease of processing, balance of mechanical properties versus cost and, with respect to the wire & cable market, good electrical properties. However, a major drawback with the use of polyolefins is that they are not inherently flame retardant like PVC. Traditional formulations to make polyolefins flame retardant used halogenated flame retardants, which produce heavy smoke and give off toxic, corrosive gasses during combustion. To meet this demand, Addivant has introduced an innovative new portfolio of Linear Low Density Polyethylene based POLYBOND® polymer modifiers. When used in conjunction with halogen-free flame retardants such as Aluminum Tri Hydroxide (ATH) or Magnesium Hydroxide (Mg(OH)2), these new POLYBOND® polymer modifiers increase the flame retardant characteristics of polyolefins while providing the physical properties required in end use applications. POLYBOND® 3149 is a general purpose LLDPE, while POLYBOND® 3249 and POLYBOND® 3349 are technologically suited to applications requiring higher elongation values with reduced gel formation during mixing. The new LLDPE based POLYBOND® polymer modifiers complement existing Addivant POLYBOND® polypropylene and high density polyethylene polymer modifiers, as well as the wide-ranging Addivant™ portfolio of wire and cable products, which include antioxidants, UV stabilizers, metal deactivators and customized, non-dusting blends of various additives. Global expert level technical support and R&D facilities allow Addivant™ to work with their wire and cable customers to customize solutions that best meet their specific market needs. A novel phosphorus-containing hyperbranched macromonomer (PHM), successfully synthesized via Michael addition polymerization of tri(acryloyloxyethyl) phosphate (TAEP) with n-butylamine (BA), was blended with epoxy acrylate resin (EA) to prepare UV curable flame retardant coatings. The study of thermal degradation of these coatings revealed that PHM can catalyze the degradation of EA, contributing to the formation of thermally stable char layer. The residues of EA3 (which contains 45 wt.% PHM) at various temperatures were analyzed by X-ray photoelectron spectroscopy (XPS) and the results displayed that the formation of phosphorus-carbon structure can well protect the carbonaceous char from thermal-oxidative degradation at 800 °C. Besides, the investigation of the flammability illustrated that the addition of PHM increased the limiting oxygen index (LOI) value and reduced the peak heat rate release (HRR) and total heat release (THR).